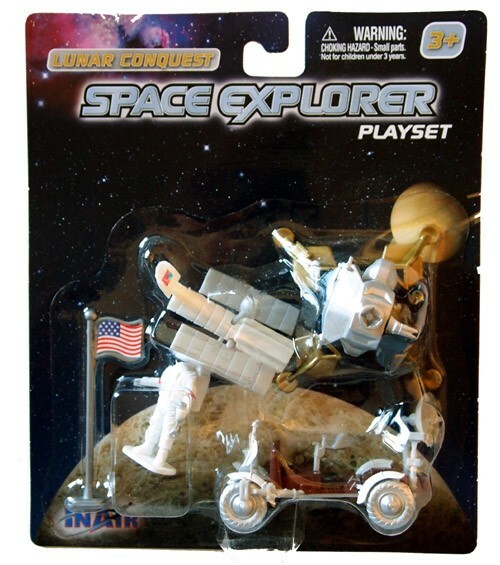 Space Explorer playset - spacekids - space toys, dressing up costumes, kids spacesuits, astronaut food, cool space stuff! Three really great little playsets, all of them featuring some of NASA's iconic Space Exploration spacecraft. 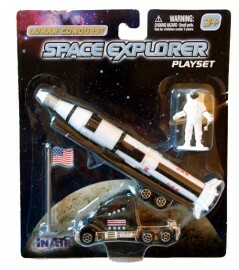 Saturn V playset contains a die-cast truck and trailer, an astronaut figurine and flag accessory. 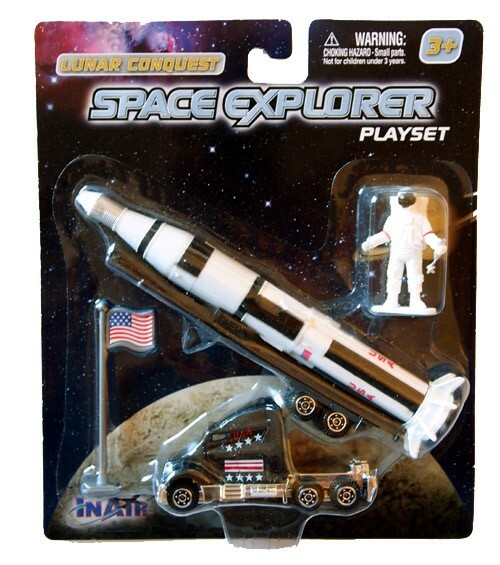 Lunar Exploration playset contains plastic Lunar Lander and Lunar Rover toys, astornaut figurine and flag accessory, plus plastic Hubble Space Telescope toy. 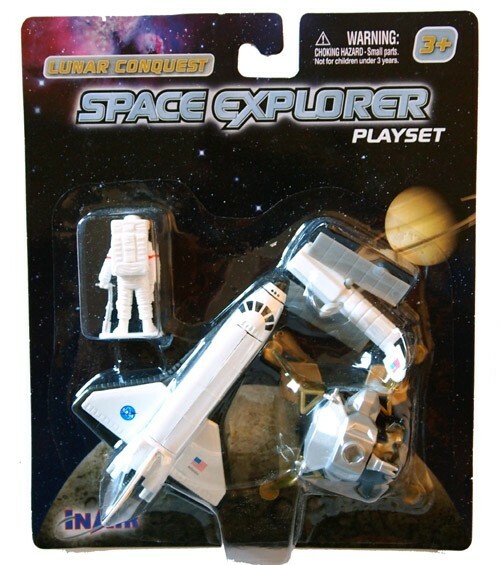 Space Shuttle playset contains plastic Space Shuttle and Lunar Lander toys, astronaut figurine and Hubble Space Telescope toys. Please select which playset style you prefer from the options above. Pack dimensions approximately 21cm X 17cm X 8cm.